What is WebHelp Authoring Suite? 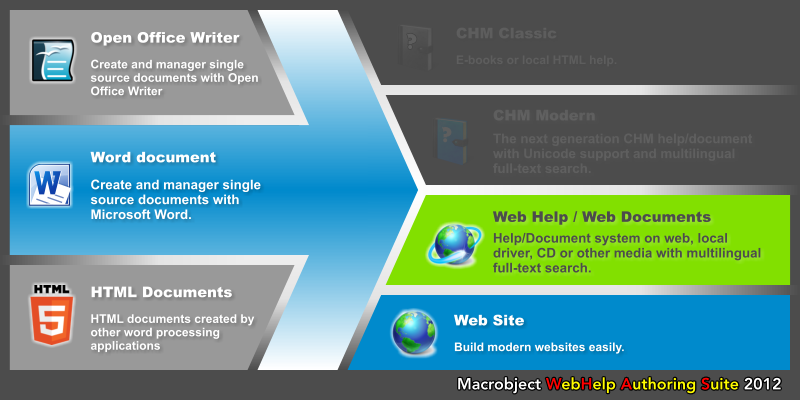 Only prepare your content in Microsoft Word, and launch Macrobject WebHelp Authoring Suite, you could get professional WebHelp systems without any HTML skill required. The output WebHelp systems will be so perfect as professionals write manually.